Living with food allergies isn’t easy, but it doesn’t have to be hard. Trust me; I’ve mastered it. It’s taken me over 10 years to master my refrigerator and there have been lots of ups and downs, but once you find a handful of foods you love and your body agrees with, you’re all set! Avocado Fries are my favorite go-to snack. Healthy fats and Omega 3’s are packed in every bite. Dip them into tomato sauce for a real treat. Many of your favorite foods may no longer be an option if you’re suddenly reacting to gluten, dairy, soy, GMO’s, food dyes, artificial sweeteners and a bunch of other scary chemicals that are tossed into everything from salad dressings to flavored waters. Tortilla Chips are such a fun snack but they’re often loaded with un-healthy fats and oils! Make your own and add sesame seeds for a touch of calcium in each bite. It definitely takes more effort to figure out what to eat when you can’t simply swing by a vending machine and munch on a bag of Doritos, but that’s what makes our lives fun and exciting. No worries, there is hope for those living with an allergy to gluten, dairy, soy or any other common ingredient. Garlic is one of my favorite foods and the KitchenAid® Convection Bake Countertop Oven does a great job at roasting whole heads of garlic in a snap! I’m an expert on the allergy-friendly lifestyle, so I’ve developed a few yummy recipes that are simple to make right in your home with just a KitchenAid® Convection Bake Countertop Oven. That’s all you need. I’ve been using mine for everything from making nachos to re-heating lentil soup. It’s so easy and hassle-free. My tips and recipes below are delicious, so you’ll forget all about those darn allergies. Mesquite Almonds are super easy to make and have a nice smoky taste that you can serve as an appetizer or a late night snack! Just because your foods and drinks are lacking gluten, dairy, soy or any other processed ingredients doesn’t mean that they have to lack flavor. That’s the beauty of having food allergies. Get out your spice rack and head to the Farmers Market for fresh herbs like cilantro, parsley, sage, rosemary and thyme. Don’t forget to grab a handful of flavorful Himalayan sea salt along with freshly ground pepper. It’s amazing what these whole food condiments can do to a simple piece of fish or chicken. Baked pears are fun to snack on especially when they’re covered in almonds and cacao nibs because they’re bursting with antioxidants and flavor in each bite! You don’t need the bottled salad dressings, fancy mustards or high-fructose corn syrup marinades that are sold in flashy bottles in the store. You can make your own in a matter of a few minutes. Do you like sweet? Great, then add some ground cinnamon, cloves, all spice and coconut sugar. More of a savory lover? I’ve got you covered. Chili powder, mustard seed and crushed red pepper. See how easy it can be? Grab a pad of paper and make two columns; one for sweet and one for savory. Ransack your pantry and refrigerator for whole foods and make a note in each column of the foods you like that are sweet and savory that you have on hand, so that when you’re stumped on what to cook for dinner at 5PM on a Monday night you can look at your handy note pad and see if you’re in the mood for sweet or savory- and then simply choose your condiments and pop everything into your KitchenAid® Convection Bake Countertop Oven. I often go with freshly squeezed lemon, rosemary and a touch of sea salt to keep my dishes simple when I’m in a rush, but you can use anything from honey to balsamic vinegar and mix n’ match. Have a fun game of tic-tac-toe with your family and add a few ingredients from each column. Trust me, you’ll be amazed at what real food tastes like. And that gluten, dairy, soy, etc. that we can’t eat? No worries, your taste buds won’t even think twice about them when there’s real food on your plate every night with real flavor! Here’s a few ideas to get you started. Then, read on for my healthy allergy-friendly recipes that you can pop into your countertop oven for an ‘anytime’ meal or snack. Enjoy! Wasabi Chickpeas are hot and spicy, but they’ll keep you on your toes and you’ll love tossing them into salads or eating them alone as a snack! Get snacking: Countertop ovens are great for making quick finger foods like fries, tortilla chips and chickpeas. While microwaves often make food lose its texture and become soggy, countertop ovens keep food crispy and amplify the flavor. 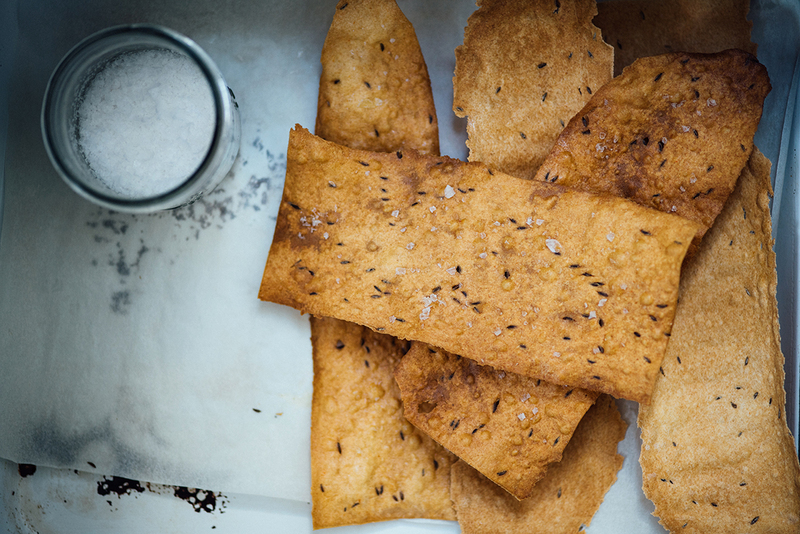 Some of my favorite countertop oven snacks are black rice sesame tortilla chips, baked flax avocado fries, mesquite almonds, rosemary pecans and wasabi chickpeas (recipes below). Make a large batch and you’ll have snacks all week. Make toast: What better to make with a toaster than toast? Grab a slice of your favorite gluten-free bread and toast to your liking. Top it off with almond butter, cheese, cinnamon or whatever your favorite toast spread is. 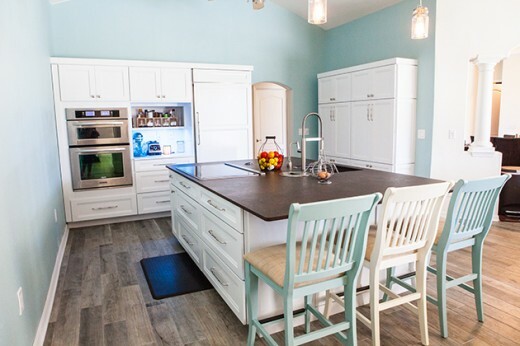 Cook a winner for dinner: A large countertop oven can be used to make large dishes for dinner. Roast chicken or vegetables in a baking pan with herbs and olive oil or use the countertop oven as a quick way to heat up a casserole. You can also make yummy sides like gluten-free rolls, potato skins, sweet potato fries, stuffed mushrooms and bruschetta. Have a healthy pizza: Pizza is one of my favorite dishes to make with a countertop oven. It melts cheese quickly, which is perfect for grilled cheese and nachos in addition to pizza. Make a crust using an allergy friendly alternative to wheat flour such as almond flour. Add your favorite veggies and herbs to complete your pizza. Add cooked rice, quinoa, tomatoes, sesame seeds, sea salt and pepper; cook until warm, approximately 3-4 minutes. Remove from heat; mix in hummus. Place stuffed mushrooms in a single layer on prepared baking dish. Bake, uncovered for 10-12 minutes in KitchenAid® Convection Bake Countertop Oven or until golden brown. 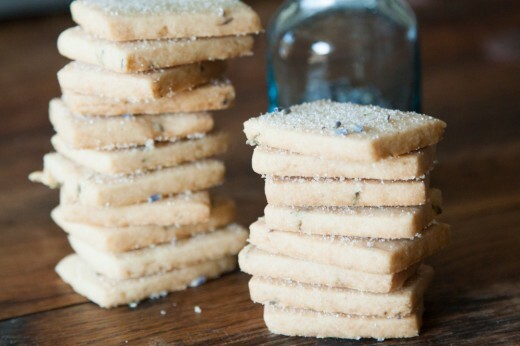 Remove from the countertop oven; garnish with ground flax seeds. 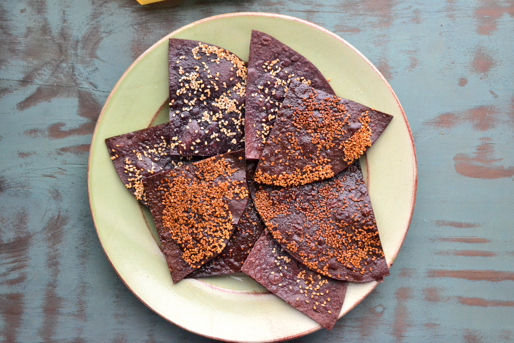 Black Rice Sesame Tortilla Chips – Slice gluten-free tortillas into 6 slices, coat with 2 tablespoons extra-virgin olive oil and 2 tablespoons sesame seeds. Toast in the KitchenAid® Convection Bake Countertop Oven for 15 minutes at 350 degrees F. Set aside to cool before serving. Wasabi Chickpeas- Drain 1 (15 ounces) can of chickpeas and toss in a large bowl with 2 tablespoons olive oil, 1/4 teaspoon sea salt, 1/4 teaspoon pepper and 2 teaspoons wasabi powder; mix well to combine. Transfer to a baking sheet. Toast in the KitchenAid® Convection Bake Countertop Oven for 15 minutes at 350 degrees F. Set aside to cool before serving. Baked Flaxseed Avocado Fries- Peel an avocado and remove the pit. Cut each half into 4 slices, then coat with 4 tablespoons ground flax seeds. Transfer to a baking sheet. Toast in the KitchenAid® Convection Bake Countertop Oven for 15 minutes at 325 degrees F. Set aside to cool before serving. Mesquite Almonds- Transfer to a baking sheet. Toast in the KitchenAid® Convection Bake Countertop Oven for 15 minutes at 350 degrees F. Set aside to cool before serving. Baked Almond & Cacao Pears- Slice a pear into 4 pieces. Drizzle 1 teaspoon olive oil over pear slices, then sprinkle with 2 tablespoons slivered almonds and 1 tablespoon raw cacao nibs. Transfer to a baking sheet. Toast in the KitchenAid® Convection Bake Countertop Oven for 15 minutes at 300 degrees F. Set aside to cool before serving. Rosemary Pecans- Combine 1 cup of raw pecans in a large bowl with 2 teaspoons dried rosemary and 2 tablespoons olive oil; gently toss to combine. Transfer to a baking sheet. Toast in the KitchenAid® Convection Bake Countertop Oven for 20 minutes at 350 degrees F until pecans are golden brown. Set aside to cool before serving. Roasted Garlic- Slice off the top of a bulb of garlic. Drizzle with olive oil and transfer to a baking sheet. Toast in the KitchenAid® Convection Bake Countertop Oven for 15-20 minutes at 350 degrees F until golden brown and tender. Set aside to cool before serving warm.